Time spent with family is time well spent. Summer is the ideal time to engage in this bond building activity. People tend to go on vacation at this time and family get-togethers are therefore very popular. 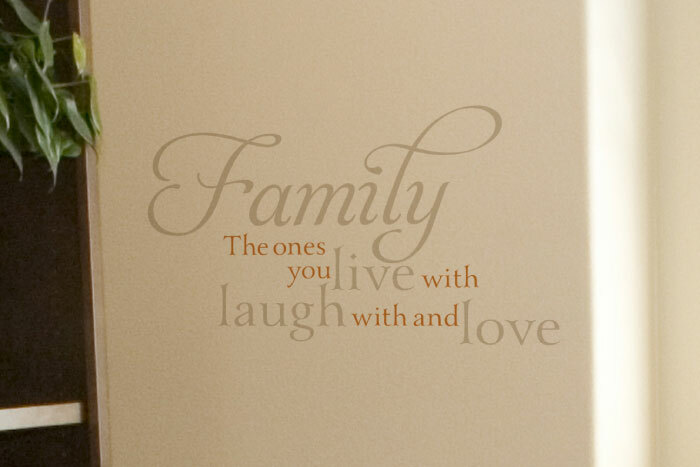 ‘Family the ones you live with laugh with & love’ is a fantastic wall lettering that looks wonderful in this family room. It stands out at eye-level against the beige colored wall. It is a light source, therefore, it is matte so that it is easy to read. Matte also does away with a glare. The wall letters have a stylish appearance and are the focal point in this room. Its colors also go well with the rest of the furniture and do not compete with the huge wall cabinet. This cozy room will be a haven for those hot summer days. It is not difficult to picture the family gathering here to chat or simply watch television. 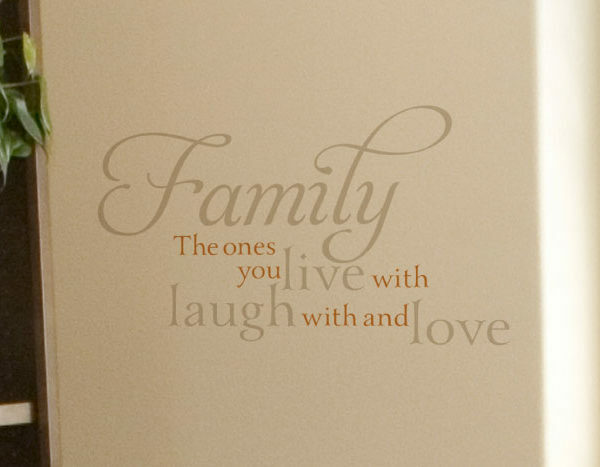 If you are looking for wall letters that will let the family know how you feel about them and yet look good, then DecorativeLettering products are it. 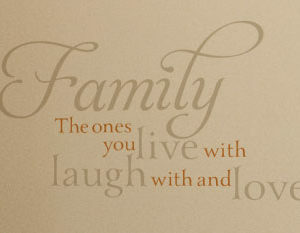 Our wall quotes are suitable, theme based and affordable. You get to select from our vast library or submit your own favorite quote. Our previewer enables you to see what your favored quote will look like. If you are not satisfied, you get to make changes. Once submitted, our designers get to work. They make sure that you get a long lasting quality product. Get in touch!